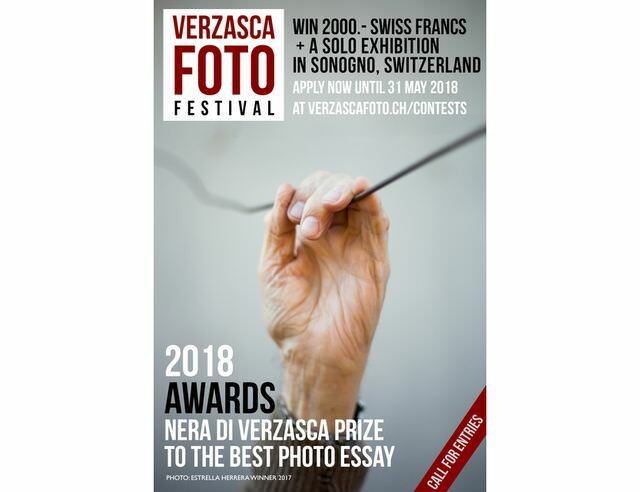 Copyright: The winning photographs remains at exclusive property of the author who authorises the promoter to use it for non-commercial purpose, to reproduce and publish them by any means, free of charge and without time limit; in particular, but not as a limiting factor, on websites, social networks, printed materials related to the promotion of the Festival Verzasca FOTO. Projection of their work at the photo night during the Festival Verzasca FOTO 2018. + board and lodge for 4 days during the Festival. Enter minimum 3 and maximum 10 photographs. Online submission of digital photographs via the website. Image requirements: JPEG format, colour or monochrome, dimension of the longer side must be 2000 pixel.